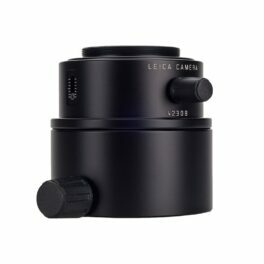 The Leica Digiscoping Objective enables photography with interchangeable lens cameras in conjunction with the Leica APO-Televid spotting scopes 62 & 82, and the eyepiece 25-50x WW ASPH; optionally the extender 1.8x can also be used. 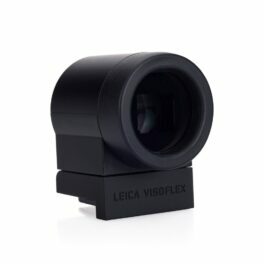 Designed for the Leica M10, Leica T-System and the Leica X (Typ 113) is the high-resolution Visoflex electronic accessory viewfinder. 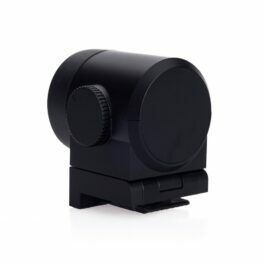 Its tilt-and-swivel function lets you photograph easily from all sorts of angles. And extends your creative horizons when taking pictures. A sensor detects the user’s eye. A look through the viewfinder turns off the camera display. As soon as you take it away from your eye, the display comes back to life. Just as practical: an integrated GPS option. 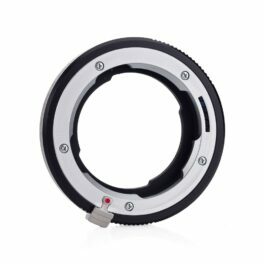 The Leica M-Adapter-TL allows the user to mount more than 20 different M lenses on the Leica T or the Leica SL (Typ 601). 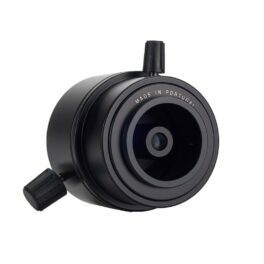 It also provides exposure metering, aperture priority AE and manual settings.When 6-bit coded M lenses are used, the focal length and model designation are communicated to the camera and are made available in the file metadata. 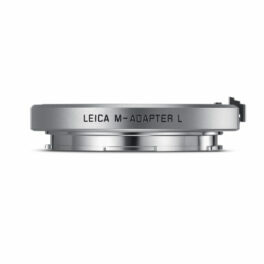 The Leica M-Adapter-T allows the user to mount more than 20 different M lenses on the Leica T or the Leica SL (Typ 601). 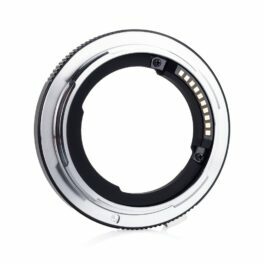 It also provides exposure metering, aperture priority AE and manual settings.When 6-bit coded M lenses are used, the focal length and model designation are communicated to the camera and are made available in the file metadata. 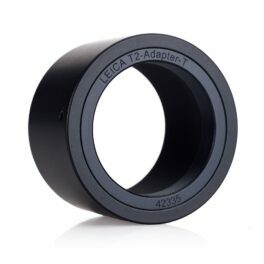 Digi-scoping adapter for the Leica T (Typ 701) which allows the camera to be mounted on a Leica spotting scope. It’s always a good idea to take along a second battery, particularly when travelling. The high-performance lithium-ion battery provides sufficient capacity for around 400 (CIPA-standard) pictures and can be recharged in next to no time. Constant monitoring of relevant battery data guarantees safe and convenient operation. *Batteries are only shipped within United Arab Emirates. 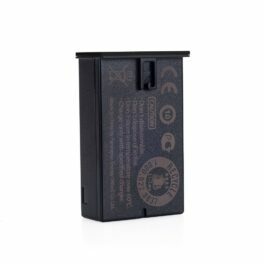 It’s always a good idea to take along a second battery, particularly when travelling. The high-performance lithium-ion battery provides sufficient capacity for around 400 (CIPA-standard) pictures and can be recharged in next to no time. Constant monitoring of relevant battery data guarantees safe and convenient operation.It’s always a good idea to take along a second battery, particularly when travelling. The high-performance lithium-ion battery provides sufficient capacity for around 400 (CIPA-standard) pictures and can be recharged in next to no time. 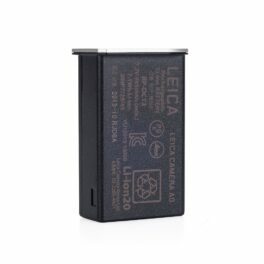 Constant monitoring of relevant battery data guarantees safe and convenient operation. 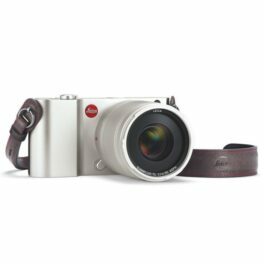 The Leica Universal Strap Lug Leica T allows the Leica T camera to be used with standard neck and wrist straps, and are sold as a set. 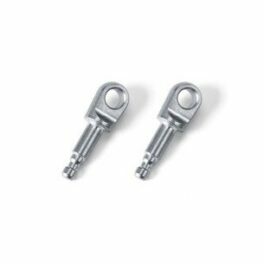 The strap lugs make it easy to change straps and use a wide variety of colorful options. 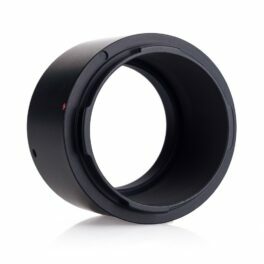 Customers are advised to use straps with protection flaps to avoid scratching the camera body. 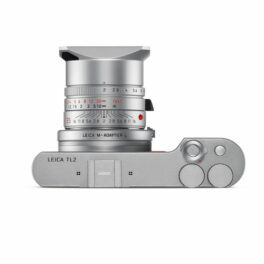 Purchasing any Leica is an exceptional experience. Combining heritage, visionary engineering and advanced technology with the finest materials and hand-craftsmanship, our cameras indulge and delight with their unique blend of refinement, dynamism and high quality. 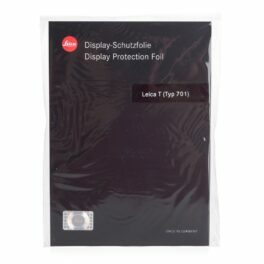 Leica UAE is renowned for the highest level of professional support. Subscribe to our mailing list to stay updated on new product launches and offers.